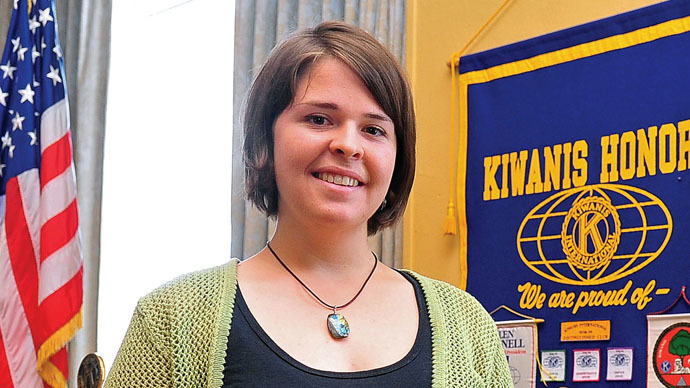 The White House has confirmed the death of an American aid worker, Kayla Jean Mueller, four days after the so-called Islamic State said she was killed by a Jordanian-led airstrike intended to target the extremist group. “It is with profound sadness that we have learned of the death of Kayla Jean Mueller,” United States President Barack Obama said in an official statement released by the White House on Tuesday. “We are heartbroken to share that we’ve received confirmation that Kayla Jean Mueller has lost her life,” her family said. Mueller’s name had not been made public until last Friday when a statement attributed to the group calling itself the Islamic State (also known as ISIS or ISIL) said she died “when she was buried beneath the rubble of the building” following an airstrike outside of Raqqa, Syria that was supposedly launched by the Jordanian military after that nation vowed to intensify its campaign against the extremists. The 26-year-old aid worker from Prescott, Arizona was working with the group Doctors Without Borders near the Turkish-Syrian border in mid-2013, according to a recent profile published by The Daily Beast, and disappeared after reportedly traveling toward the town of Aleppo with her boyfriend. Mueller was believed to be the last American hostage being held by the militants. "Syrians are dying by the thousands and they're fighting just to talk about the rights we have," Mueller told her hometown paper, The Daily Courier, in April 2013. “For as long as I live, I will not let this suffering be normal." “Our hearts are breaking for our only daughter, but we will continue on in peace, dignity and love for her,” the woman’s parents said on Tuesday.